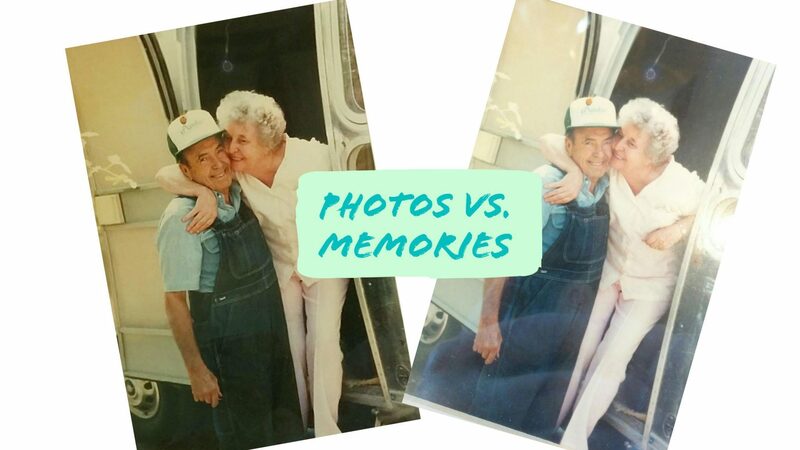 Not too long ago, Hilarie was asked how the FamilySearch Memories app compared to Google Photos for photo storage. The person she was talking to said she wasn’t terribly familiar with either, but from what she did know, they sounded like similar, possibly competing products. We promised to look into it and find out. So here you have our analysis: Family Search Memories vs. Google Photos. Where they both store photos, allow you to tag people and add descriptions, they might appear to be similar, but they really aren’t. The target audience for Memories is much narrower than that of Photos. In fact, they could be used together as complementary apps to help record family or personal narratives and stories. To answer that, let’s look at what they do. Google Photos is an online place to store photos. You can access these on your phone through the app or on a computer. Photos can be grouped and shared, and Google’s combination of facial recognition, geo-tagging, time/date tagging and object recognition makes it the best way to manage photos – by a long shot. Memories also stores photos, and you can manually tag people as well as add descriptions. That’s where the similarities end. Memories is designed to gather all types of memories: photos, written stories and audio recordings, and put them all in one place for everyone to see- specifically Family Search. It’s also meant to be a little more official. Remember Family Search is one of the biggest players in the genealogy space, so their goal is to build family trees and connect ancestors. 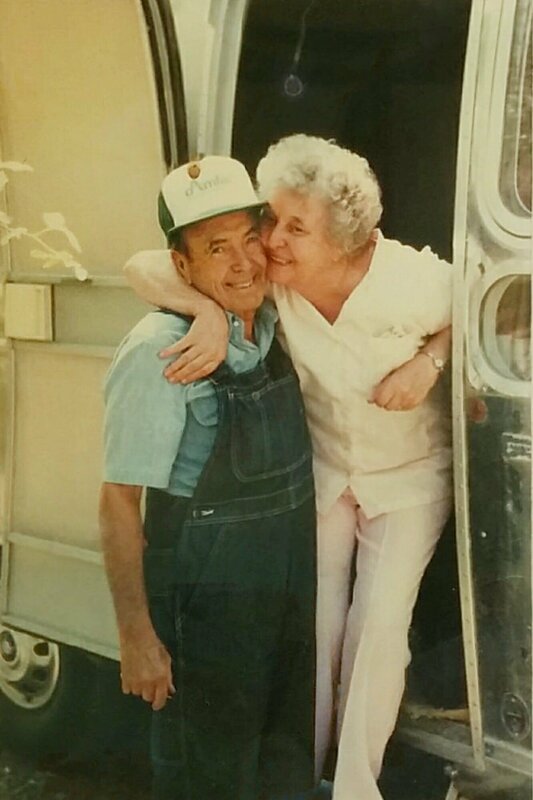 When you create a memory in Memories – be it a picture, written or recorded story – and tag your grandmother in it, you are attaching that item to your grandmother’s record in Family Search. This means it’s public, and anyone can see it. So back to the question, how are they complementary? The Memories app will take photos, using your phone’s camera, and you can upload them directly into Memories. These could be of old printed photographs, or at events you’d want to remember (i.e. family reunions, weddings, funerals, etc.). To be honest, if you’re taking pictures at an event, I’d say use your camera normally, then upload the ones you want into Memories later. 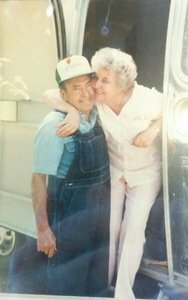 If you have print photos that need to be digitized and shared in Memories, I would use Google’s PhotoScan app to scan, then add them to memories. Here are two scanned images of the same photograph. 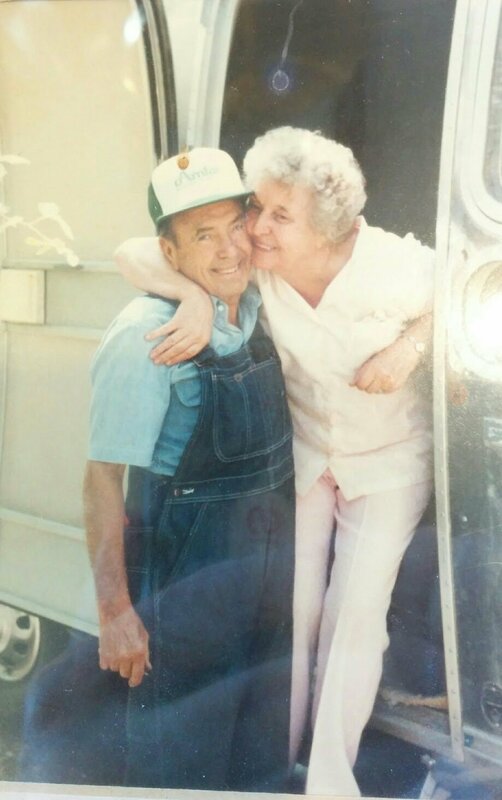 The one on the left was scanned with Memories. You can tell who’s in it, but if you look closely you’ll also see the reflection of my hand and phone. It’s also a little washed out. The cropping ability isn’t as robust either. If you look at the bottom left corner, you can see a small slice of the picture frame. On the right is a scan with the Google PhotoScan app (click here to read how and why you should use this for scanning photos). There is no reflection, and the colors look better. So by using PhotoScan (which automatically adds scanned photos into Google Photos), you get a better quality image, which you can then upload to Memories. You can upload an existing photo. Since every “memory” uploaded to Family Search Memories becomes public, you don’t want to share everything. 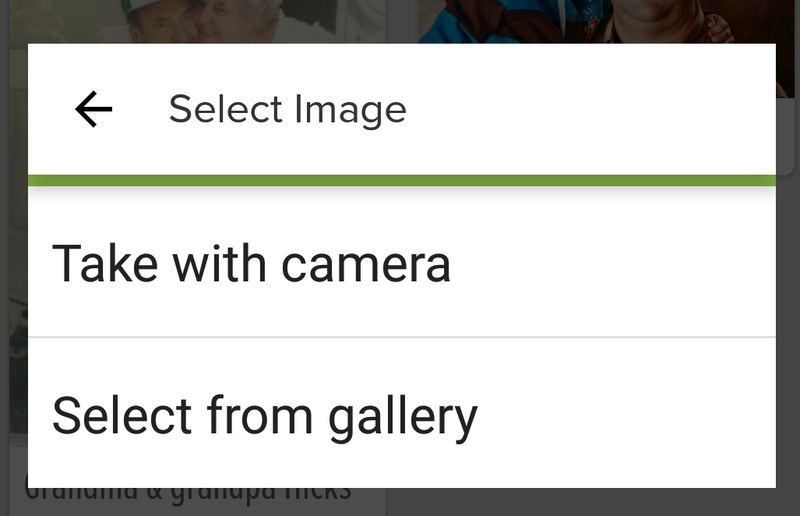 When you add an image, choose “Select from Gallery.” You can then add anything in Google Photos and document it as you’d like for Family Search. The other great features are that you can add documents and audio recordings, and tag people. That’s something that Google Photos isn’t designed to do. As already mentioned, remember that everything you put into Memories is public. 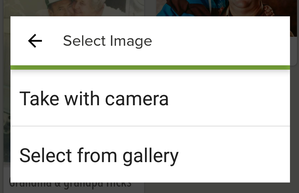 With Google Photos, you choose what to share, and with whom. Photos groups faces, places, dates and events together, making it much easier to manage your ever-growing library of digital photos. If you’re already using Family Search in your genealogy efforts, it makes sense to use Memories, too. The scan quality of Google PhotoScan is better, though, so I would use it for scanning before uploading into Memories. For family and personal narrative efforts and day-to-day photo captures, use Google Photos. It’s designed to manage the mountains of memories you collect that aren’t for public consumption. How do you use the Family Search Memories app and/or Google Photos? Comment below to share your ideas and questions. If this post was helpful, we’d appreciate you sharing on Facebook.